Natalie Sharp RN, MSN, FNP-BC is an ANCC board-certified family nurse practitioner specializing in medical and aesthetic dermatology. She received her bachelor of science degree in nursing from Wagner College in NY, a masters of nursing and FNP from Pace University. She has also received advanced training from the National Academy of Dermatology Nurse Practitioners, Cynosure, the Esthetic Skin Institute, Aesthetic Advancements and Aesthetic Enhancement Institute. Most recently, she has been an independent contractor with medical aesthetic practices including Pure Vitality Rx & Skintology, where she specialized in various skin rejuvenation techniques including various dermal fillers such as Voluma & Juvederm, Botox Cosmetic, Intense Pulse Light treatment, Dermapen, chemical peels and more. With an artistic eye and a personalized approach, Natalie maximizes results with minimally invasive aesthetic techniques. 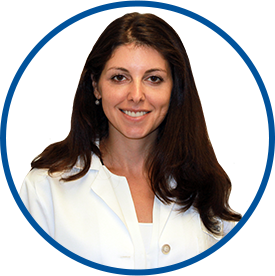 A member of the National Academy of Dermatology Nurse Practitioners, she is bilingual in English and Russian. She joined Westmed Medical Group in August 2015.